One of the main concerns for many people when considering cloud storage is security. However, there are 5 simple steps you can take to minimize the risk for cloud storage that ensure your critical records are secure. With an electronic document management system you can limit who sees which records, and you can protect your files with top-notch encryption. By implementing some or all of these measures in your records management plan, you can help protect your records and ensure your company’s sensitive information is secure. Below are 5 tips to minimize the risk for cloud storage. Define and document your organization’s information and security requirements for your cloud-based solution. This means create a document management guideline that explains how to organize files, how to locate files, and the level of security for certain files that will be shared. This plan should follow all state and federal laws, include a record retention plan, and clearly state the security protocol. Delegate one person to be in charge of the guidelines and the document management system you have set in place. This person will be able to monitor your files in the cloud and make sure there is nothing that could cause a data breach or confusion among employees. 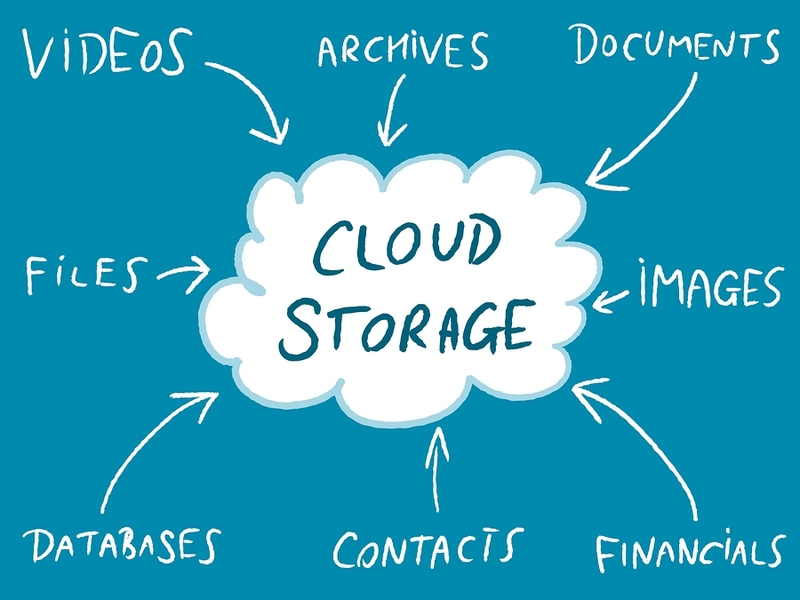 Evaluate what type of cloud storage your company will need. Will you need a private-cloud or a public cloud storage system? Different cloud storage platforms allow your company to enforce your own information security guidelines and create higher security settings depending on your preferences. It is important to thoroughly research different cloud storage services to make sure you are getting the best system for your needs. A strong password is a very essential part to your information security plan. The more critical the information you are trying to protect the more complex your password should be. About 76% of data breaches happen because of weak passwords, allowing hackers to enter into your network. Encryption is the most effective way to achieve data security. To read an encrypted file, you must have access to a secret key or password that enables you to decrypt it. You can choose an encryption program that will make it more difficult for a hacker to access your information, and prevent anyone who might gain access to your network from stealing confidential information. If you Need Secure Cloud Storage Or Management, Let our Experts Help! At Record Nations, we can help you find the right cloud storage service to help convert your documents to an electronic document management system, and ensure that you’re implementing proper security measures to help protect your critical records and files.